A land of dark corruption! One priestess’ insurrection! 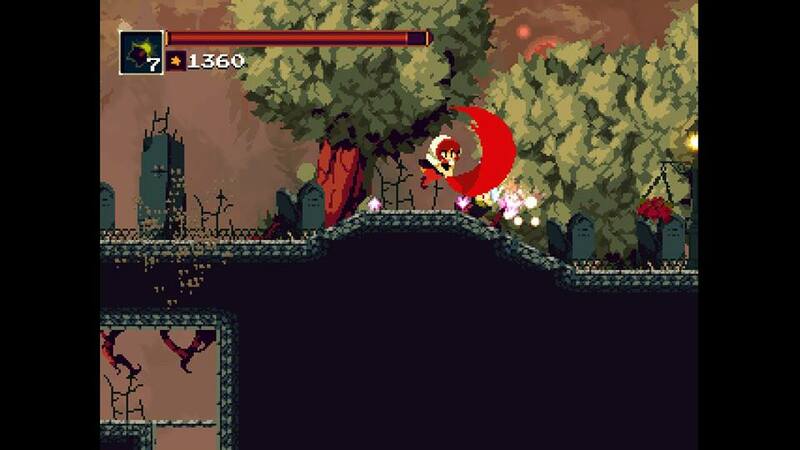 In this review, we examine if Momodora: Reverie Under the Moonlight truly offers a higher caliber of platforming action! 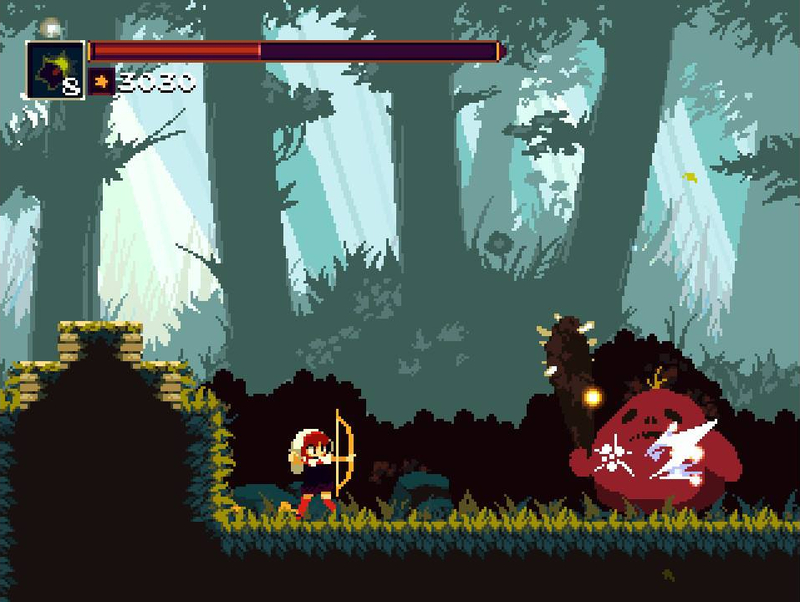 At its core, Momodora follows the classic Metroidvania formula to a tee. The game features an expansive world map, and certain areas only open up once players gain new abilities. Players take the role of Kaho, a priestess travelling to Karst City in order to purify a corrupting evil within. If she fails, the corruption will spread beyond the city’s gates – and infect the entire world with monstrous horrors. Her quest isn’t simple, however, as Kaho is only equipped with a holy leaf and bow. Her flimsy weapons mean that enemies are tough cookies to take down, often soaking up many slashes or arrows before expiring. Kaho herself is likewise fragile, and can be killed with just around 6 hits in Normal mode. 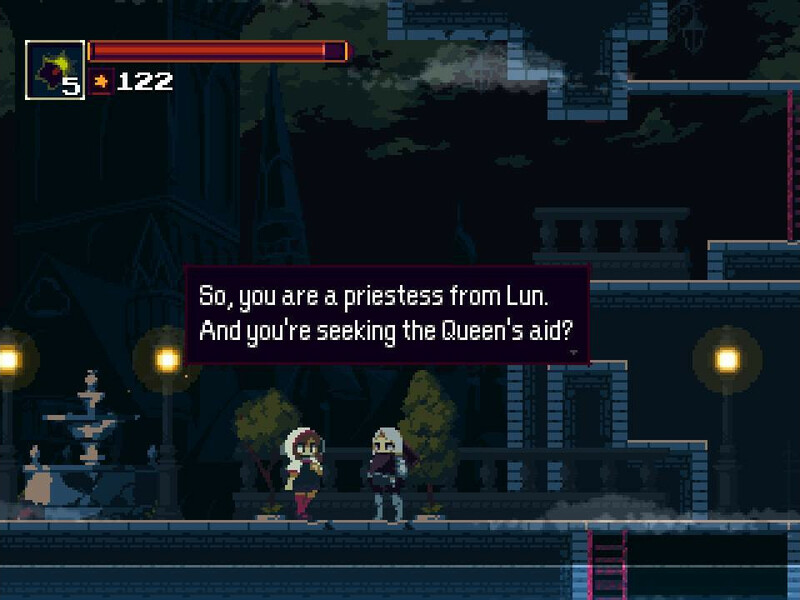 Indeed, Momodora is unapologetic about its Metroidvania roots – and careless players will quickly find themselves overwhelmed with the game’s gross difficulty curve. 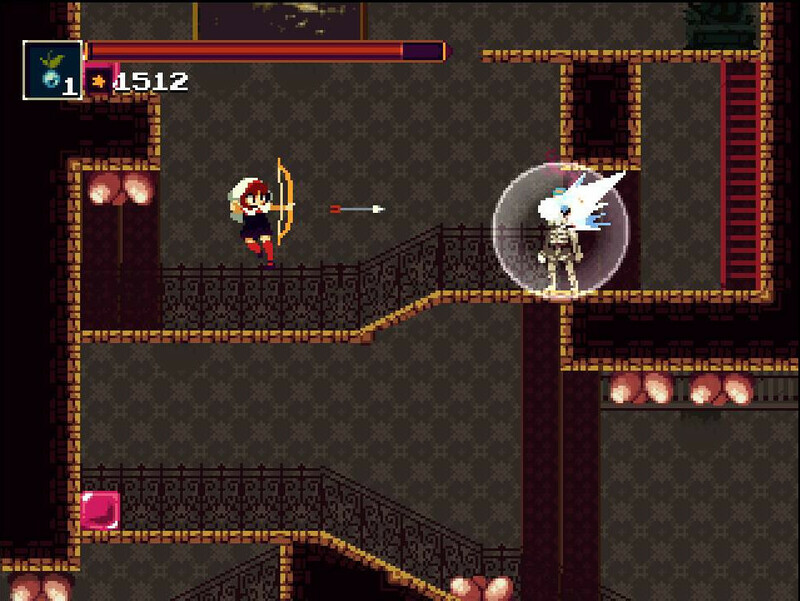 Fortunately, Momodora does feature an ‘Easy’ difficulty setting – which starts Kaho off with more health and better defense. The game becomes a lot more accessible in this mode, and most players will be able to enjoy its battles without the seething frustration of dying countless times. Exploration in Momodora is more streamlined compared to titans like the Castlevania titles. Many areas in the game are fairly self-contained, with only one or two secret paths that connect them together. Most players will probably explore 100% of the world map on their first playthrough. On a whole, the gameplay of Momodora is a pretty engaging sell at $14.99 USD. The game’s boss fights are large spectacles, and will keep both veteran and casual players on their toes. While the game’s simpler world map might not be for everyone, it does offer a nice entry point for beginners to the Metroidvania genre – so long as they play on Easy. 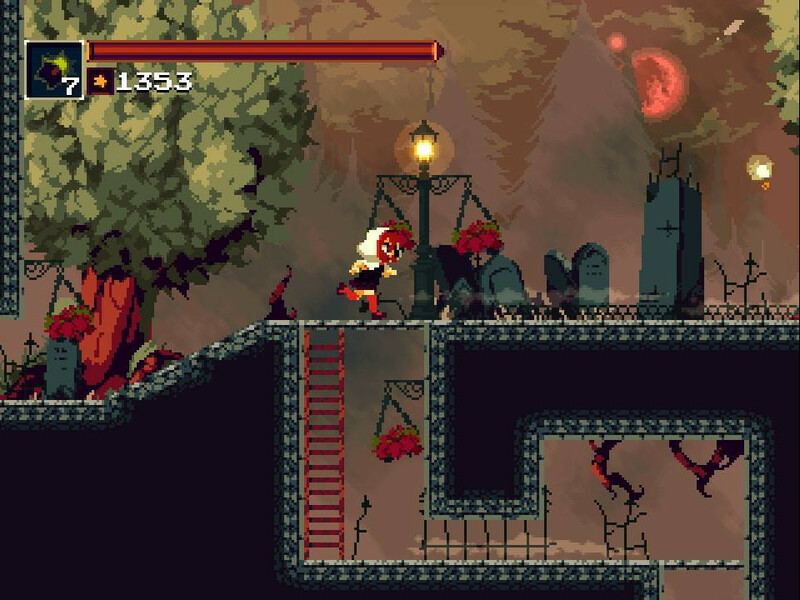 Momodora boasts a beautiful world, despite its dark and depressing tone. Areas are distinguished by their primary color schemes, which keep exploration somewhat fresh. This is accompanied by beautiful pixel art that harkens back to the 32-bit era – which still looks lively by today’s standards. These black borders are quite a shame, and really make the game feel rougher and less premium overall. I would have preferred at least some static background images in these empty spots, just like Undertale’s wonderful Switch port. 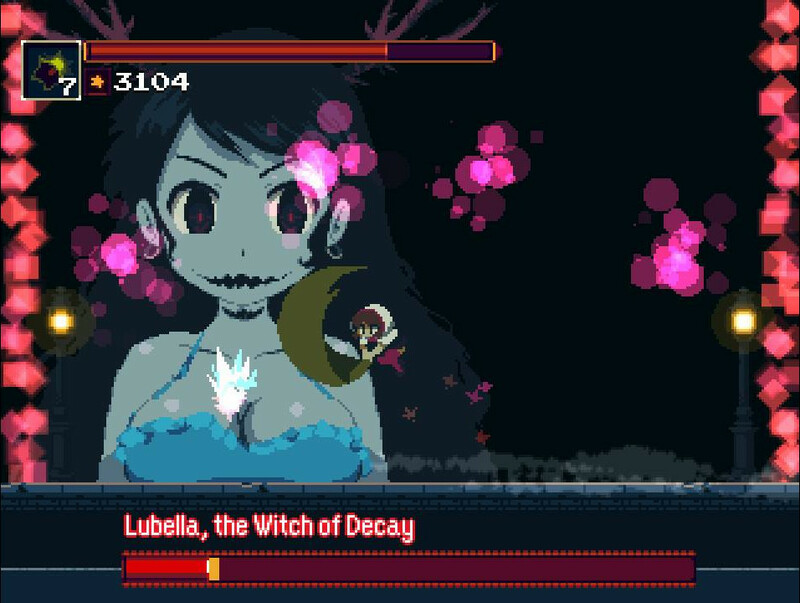 Another slight blemish on Momodora is how short it is. My ‘Easy’ run of the game lasted a grand total of just 4 hours – which is fairly brief for most Metroidvania titles. The game does offer a New Game+ option after beating the final boss, but there’s not much new content there. Players can probably squeeze out another 2 hours if they seek out every hidden item in the game, but doing so doesn’t really unlock a significant reward. For reference, other independent Metroidvania titles like Hollow Knight can easily stretch to 40 hours with a similar setting. Of course, that comparison is slightly unfair – but I couldn’t escape the feeling that Momodora concluded too quickly to realize its true potential. At best, only speed-runners will appreciate its brevity. Overall, Momodora: Reverie Under the Moonlight occupies its niche a little too well. While its Metroidvania gameplay is an enjoyable throwback to the past, the game’s barebones presentation and short stay make it difficult to recommend to everyone. 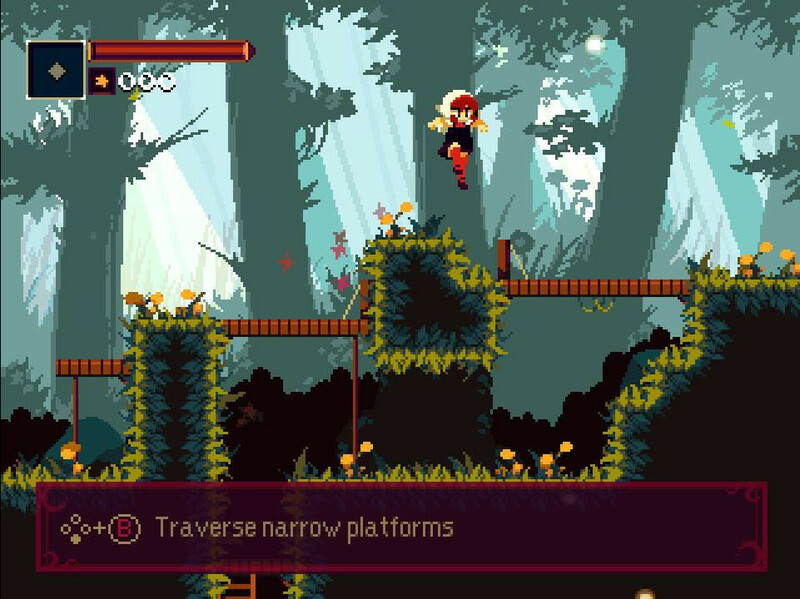 Metroidvania veterans, however, will find Momodora to be a refreshing romp once they’ve exhausted other more-popular options on the Switch eShop. This somber adventure is worth it – especially if you can catch it at a discount in the future. This is the Metroidvania genre in its purest form – with zero frills. Difficulty options keep the game accessible to all. Verdict: This stew is truly the classic stuff. If you want something more modern-tasting, however, you’ll have to look elsewhere. 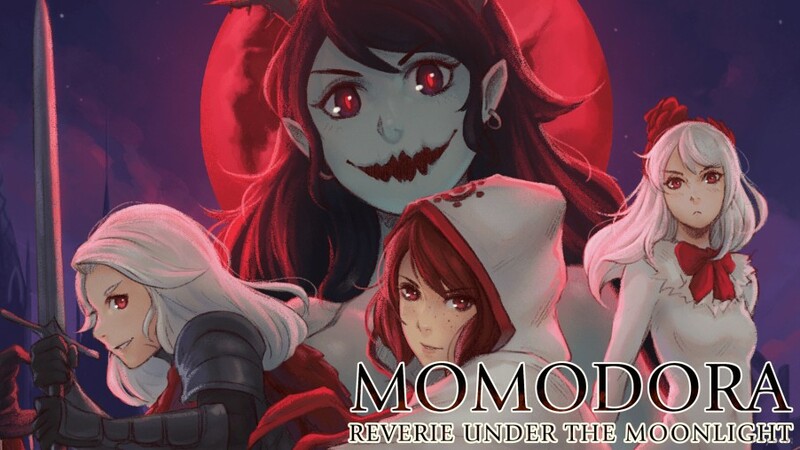 A review code for Momodora: Reverie Under The Moonlight was provided by the publisher for the purpose of this review.